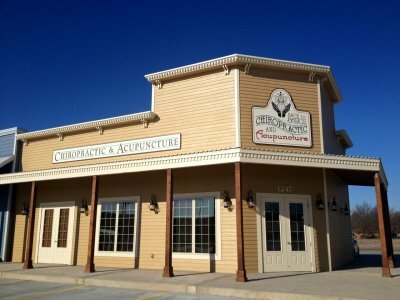 The strip center that this Chiropractor is located in contains buildings that were part of Wild West World in Park City. Rock Enterprises moved these structures to Kellogg & Tyler and made necessary renovations so they would be up to code. Back to Basics chiropractor and acupuncture is a fresh look at health and wellness. Come see what advice they have for you.